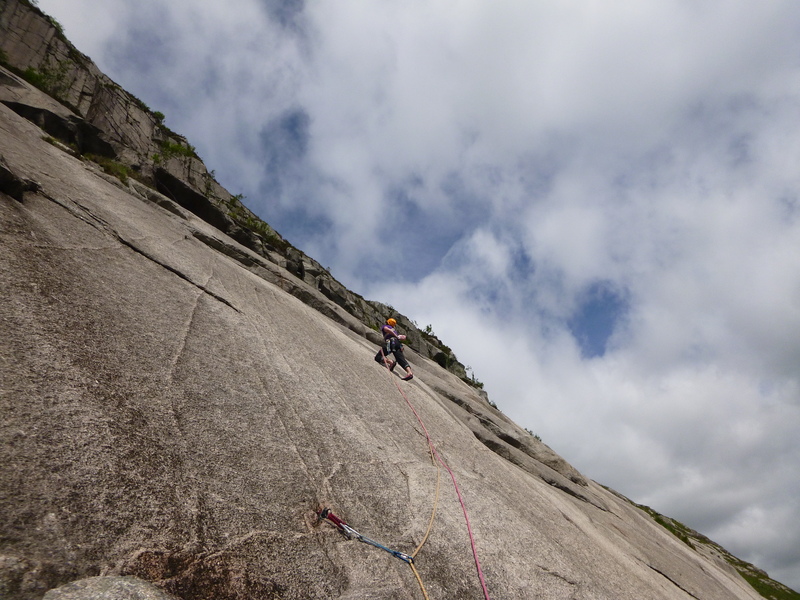 I was out with Joe in Glen Etive today on the 7 pitch, 4 star classic The Long Reach (E2,5b). 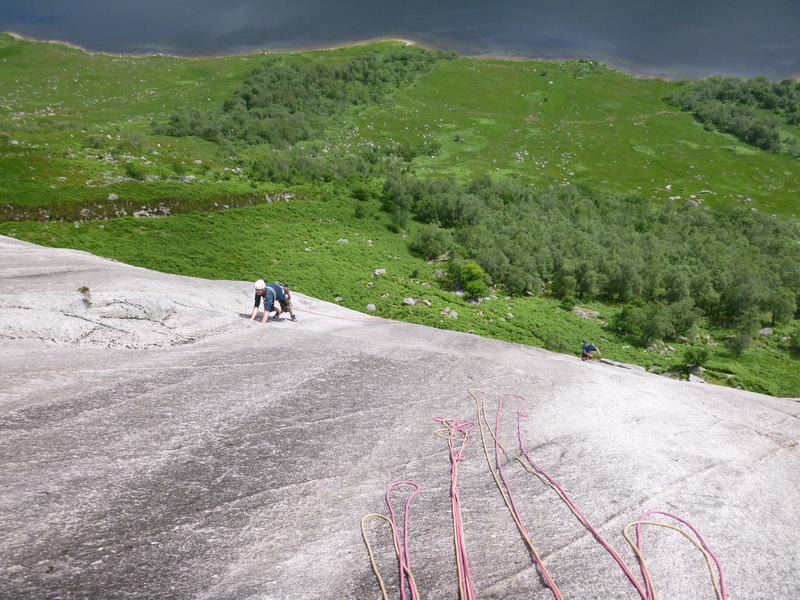 Not a cloud in the sky but enough wind to keep the slabs cool enough for some ‘thank god’ friction necessary to deal with the long run out climbing. 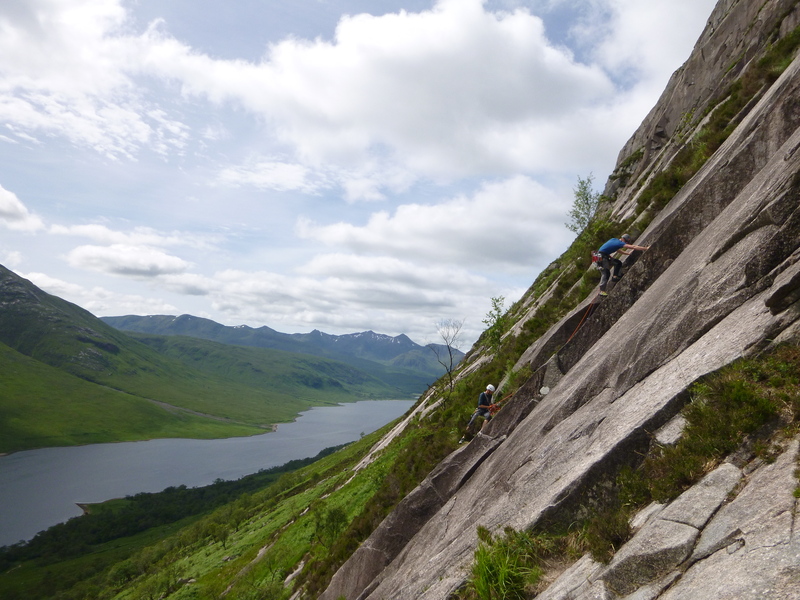 I’ve been lucky enough to visit the slabs allot over the last few years and never before have I seen them so dry, if you have ever wanted to get a route done there – now is the time! 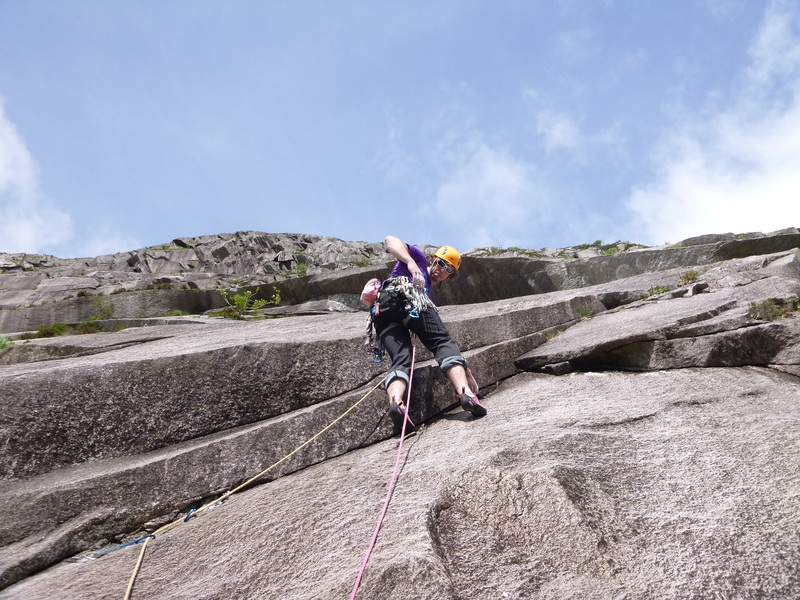 For Joe it was just his second visit to the slabs and first initiation with the bolder routes on offer. Although a little different than what he has climbed before, he had a great time enjoying the test of footwork. Another brilliant day! Typical run outs on the slabs…..